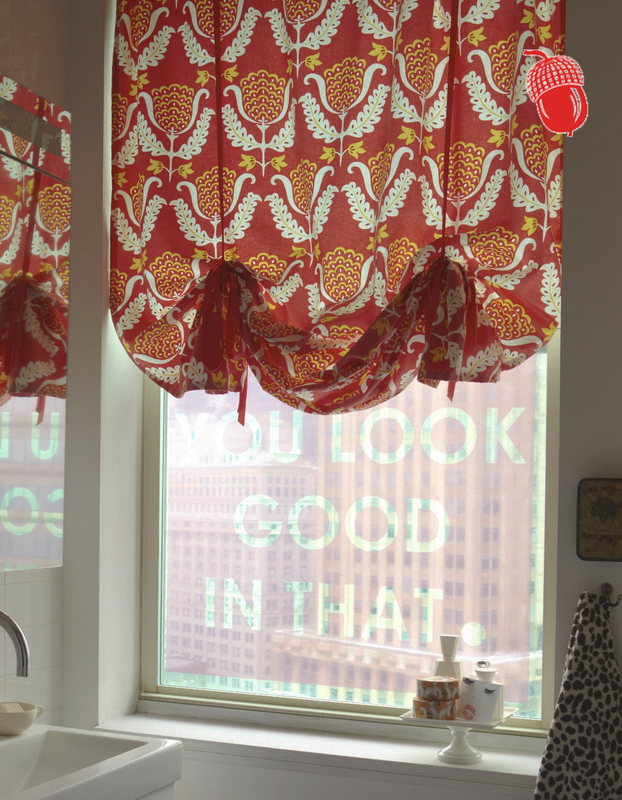 Making no-sew curtains for this bathroom is an easy way to give this cramped space a custom-style lift. The One Wish Azalea print fabric from Waverly is an instant winner in my eyes. If you are NUTS FOR THIS, find it here.